Weekend weddings are definitely a thing. 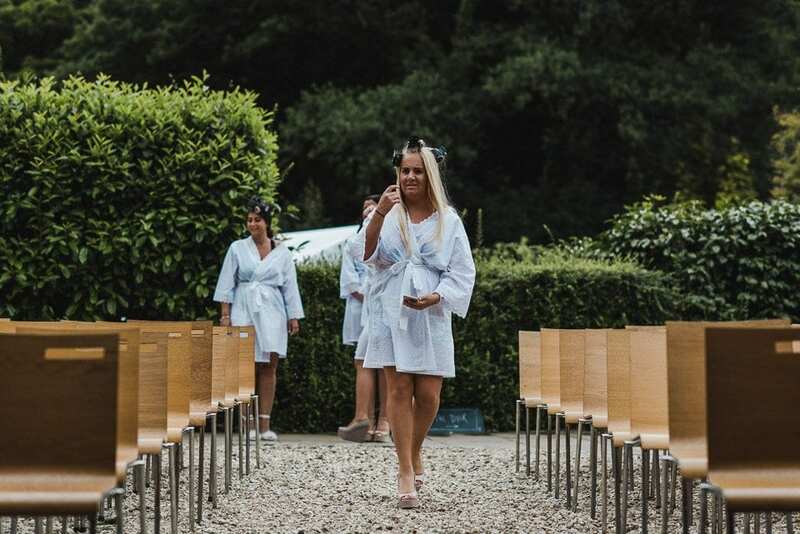 We’ve seen a move over the last few years to wedding weekends and here at Ever After we’re perfectly placed to help you with that if you want to max your time with your wedding guests. Most of our couples live outside Devon so for them and a lot of their guests, Dartmoor is a destination. This means couples want their guests to make the most of their Devon wedding experience. How can we help with that? Well for a start, you can arrive from 2 pm the day before your wedding. In the summer we hold a maximum of 2 weddings a week, not for us the revolving door of one or more weddings a day. We want to offer our couples the time and space to truly enjoy their wedding, not being whisked in and then out again so fast it makes your head spin. So you’re welcome to arrive the day before your wedding. And when I say you can arrive from 2 pm the day before, I mean the place is yours. Some venues will give you access to set up or to drop things off but you can’t hang around. At Ever After you can move in and make yourselves at home the afternoon before. You can bring friends over, have tea on the cottage deck, drinks on the river walk, use the space however you like. 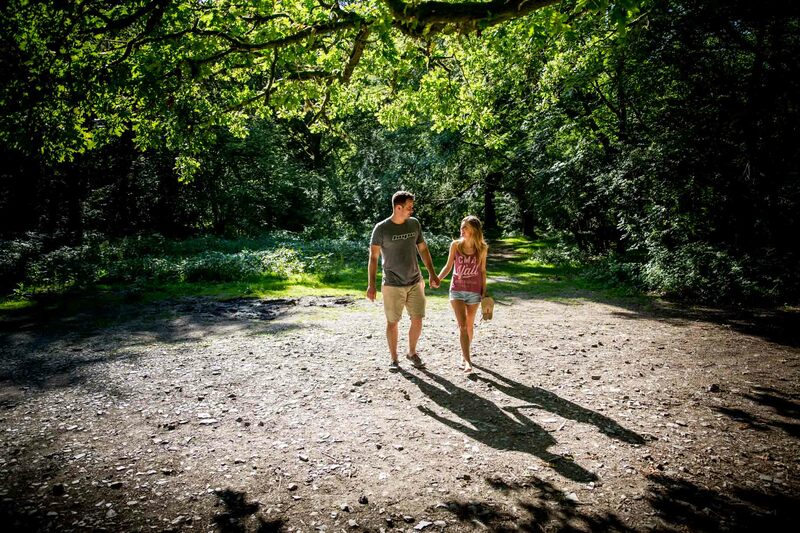 Some couples have taken advantage of the beautiful landscape here on Dartmoor which is the perfect place for weekend weddings and organised walks for guests on the afternoon before the wedding. We can suggest a walk suitable for all abilities which takes in a handy pub on the way if that suits you. If you’ve got something more adventurous in mind how about pony trekking or even tree surfing? We usually try and find some time for a ceremony rehearsal the day before the wedding if you’re getting married here. So we can finalise who’s walking in with whom and when. 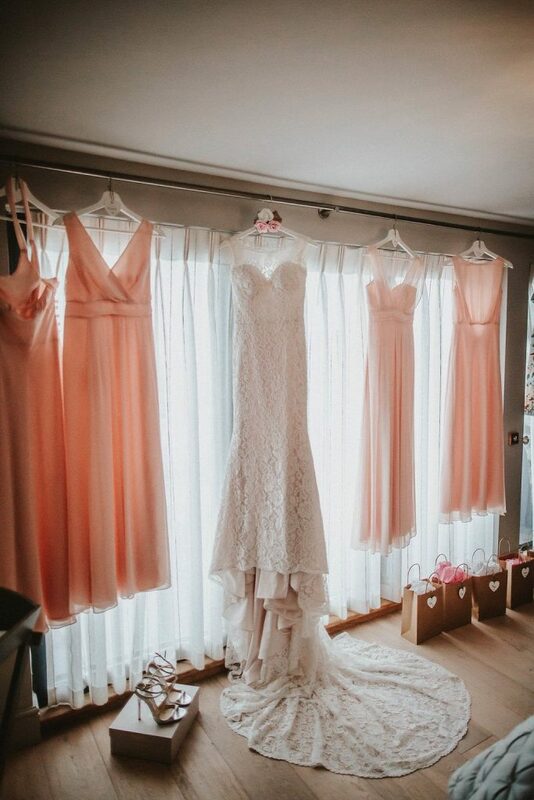 Do a walk through, test the music timings and start everyone on my top 3 walk in tips (which you’ll hear a lot from me on the day), ‘don’t look down, walk much more slowly than you think and DON’T FORGET TO SMILE!’ That will help settle some of the nerves on the wedding day. The day before is also the time to off load all those things you’re bringing in like your table plan, place names, any favours and we’ll go through with you what is going to be placed where. If you have 300 photos to be put up on strings or 1,000 paper cranes to be hung, the day before is your time to get that done. I’ll ask you to do any set up that would take up a lot of staff time. The honeymoon cottage will be your base at Ever After for the time you’re here. The two of you can stay there together the night before but we usually find it’s most popular with the bride and bridesmaids who have a girls’ night in with up to 6 bridesmaids staying the night before (4 in the cottage, 2 in the annexe plus the bride). You can either bring in your own food (the cottage comes with its own kitchen with everything you need) or you can order in from our favourite hand-made pizza delivery place – they have a well-worn path to the cottage in the summer. The next day you’re right on site for all the wedding preparations. There’s usually a bit of chaos on the day from flower deliveries, photographer arrival and I’ll be popping in from time to time to make sure everything’s on track. The day after the night before couples sometimes like to bring guests back for a post-wedding brunch. 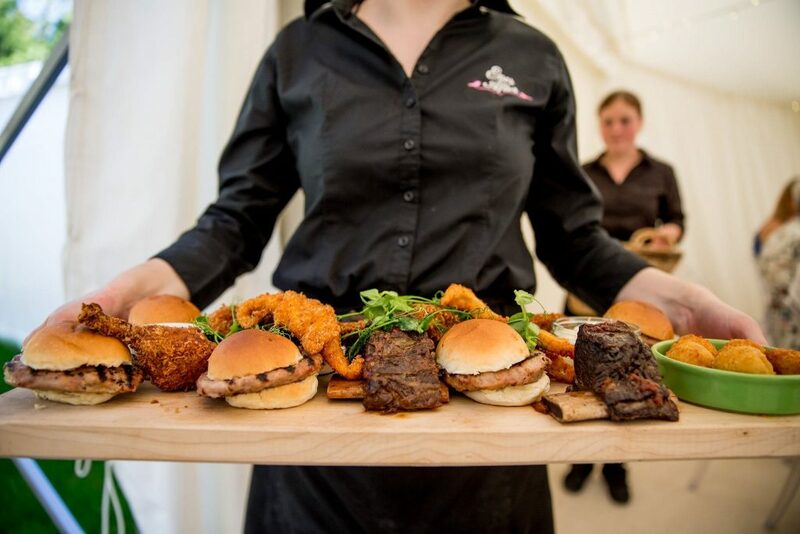 We can cater for up to 50 people the day after. You might lay on a late breakfast with bucks fizz or an informal BBQ style lunch. We have a separate menu for the brunch which we’re just updating for 2018 and I’ll be happy to talk to you about what the brunch involves and the costs involved. 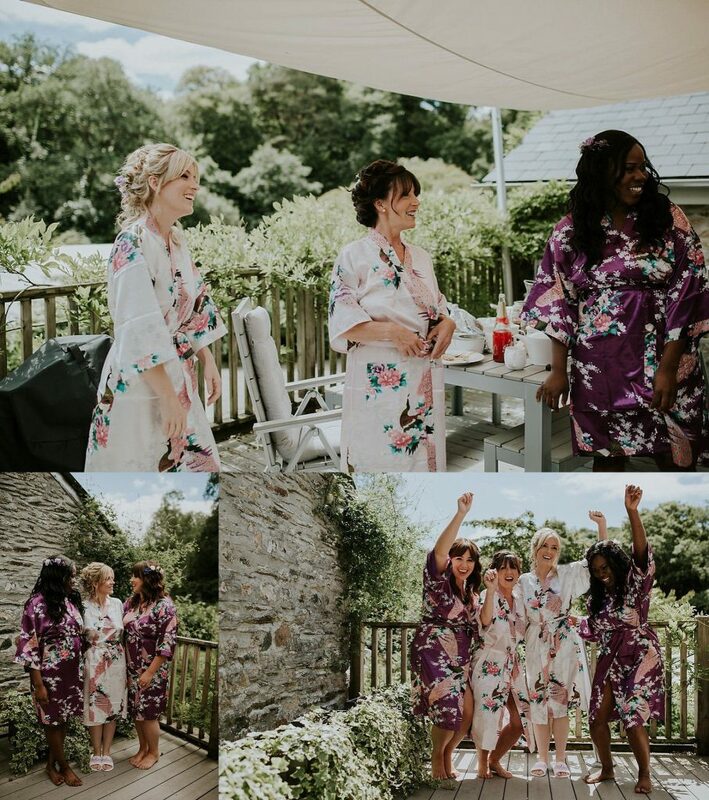 So you can see you can do as much or as little as you like to extend your wedding weekend from activities and dinner the day before to brunch the day after to give your guests the best of Devon hospitality. Drop me a line nicola@lowergrenofen.co.uk if you want to find out more about our weekend weddings and what dates we have available.